July 16, 2013 — We must be in the Twilight Zone. Exactly one year after the release of the Freeh Report, we now hear from University Trustees that they don’t accept its unsupported — but damning — conclusions. Mr. Masser appears to have forgotten that President Erickson explicitly accepted the Freeh Report on behalf of Penn State when he signed the Consent Decree with the NCAA. As alumni, we read the entire report upon its July 2012 release, and we immediately urged the Trustees to repudiate it due to its incompleteness and subjectivity. No new information has surfaced since then. The only thing that has changed is the extreme damage caused to Penn State: the severe NCAA sanctions, enormous financial costs, and reputational damage that has had negative consequences for everyone associated with the university. This latest PR tour of trustee doublespeak rings hollow and contradictory. The trustees’ year-long silence on the Freeh conclusions reeks of disengagement, fiduciary irresponsibility and poor leadership. 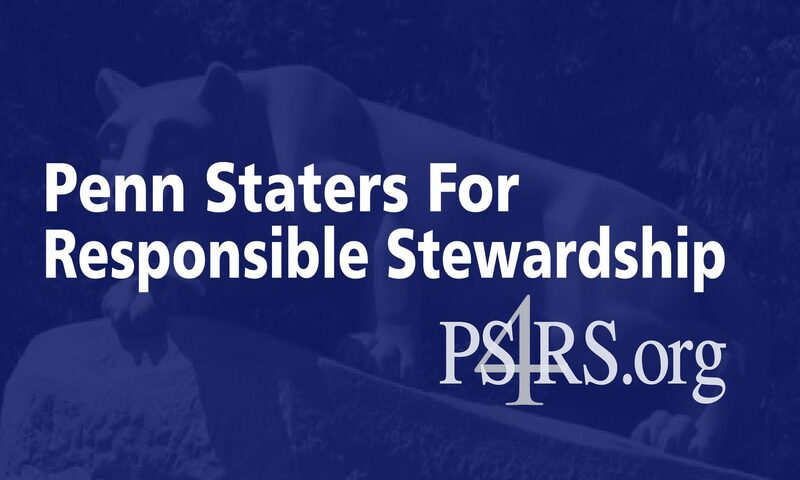 Where was the trustees’ defense of Penn State when it was needed most?